Waking up to a baby’s cry. Hearing a grandchild speak. Chatting with friends over dinner in a restaurant. Even mild hearing loss can have a severe impact on human relations. Hearing loss is usually an insidious onset process that sneaks up on us with age. At times it can also be a sudden onset process which makes us acutely aware of something we normally take for granted. The mechanisms behind hearing loss are complex but can be reduced to very simplistic concepts of whether or not there is a problem with sound getting in, or if there is a problem with the nerve picking up the sound that is delivered by the ear. There is the outer ear which acts as a funnel to bring sound in. There is the ear drum and middle ear space which acts as an amplifier and transducer to turn vibrations in the air into fluid waves that can be detected by the tiny inner ear hairs of the fluid-filled nerve of the ear (inner ear). The inner ear nerve transduces the fluid wave vibrations and turns them into electrical signals which then go to the brain and brain stem. The brain stem and brain process the sound signals from the ear into a signal that we can interpret as sound at the level of the brain cortex. Presbycusis – Age-related hearing loss. Occurs as the hair fibers in the inner ear nerve lose their ability to detect sound. You can liken this to decrease in function of joints such as the knee or the wrist which would occur with arthritis, over age and time. The ongoing process of sound detection as well as sound exposures can cause the inner nerve hair fibers to break and bend. As they break and bend, they become less efficient at absorbing sound. Generally speaking, nerve hearing loss is not curable except in rare occasions, but it is frequently audible to help patients adapt. In contrast to nerve related hearing loss, conductive hearing loss actually frequently carries a much better prognosis. Conductive loss is a failure to transfer sounds to a well-functioning ear nerve. Physical obstruction by ear wax. Air pressure or fluid build-up in the middle ears which may be related to simple things like colds or infections causing negative pressure in the ears. In children, this is the most common cause of hearing issues and sometimes it can simply be treated with antibiotics or medication. In refractory cases, ear tubes allow the pressure and fluid within the middle ear space to be drained and vented. A common genetic cause of conductive hearing loss that can cause the little bones not to vibrate normally (impacting about 1% of the population) is called otosclerosis. The treatment for otosclerosis ranges from overriding the loss caused by the bones not vibrating well with a hearing aid, to replacing the little bones with a prosthesis that will act as a mechanism for the sound to travel from the ear drum to the nerve of the ear. Understanding hearing loss, although simple in terms of understanding whether it’s a problem of getting the sound in or the nerve picking up sound, is generally complicated by the need for technical expertise and need for proper testing and evaluation. 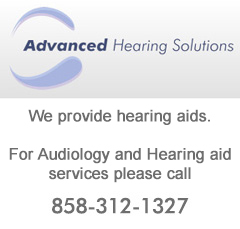 The initial evaluation for any type of hearing loss will involve an examination of the ears as well as an audiogram. An audiogram is an essential portion of any type of ear evaluation because without understanding the ability of the ear to function, it is difficult to detect alone by its outer appearance what the underlying problems may be. 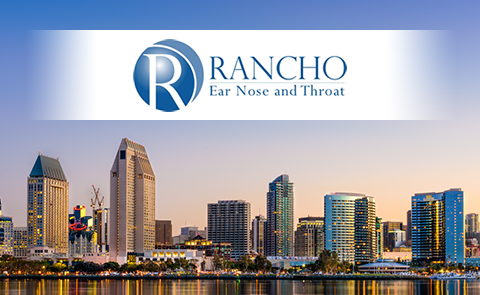 At Rancho Ear, Nose and Throat, most if not all ear problem evaluations begin with a hearing test, which will either be done with tuning forks or through the assistance of an audiologist to help differentiate problems with sound getting in versus the nerve absorbing sound. Following this, there will an evaluation by a physician who will be able to discern the underlying problem and the appropriate treatment course. Of course, all treatment decisions are made together with the patient. It is important to us to that our patients understand all of their options, as often there are many with varying risks and benefits. 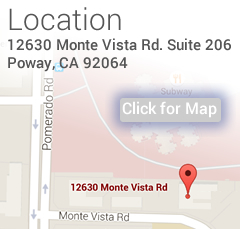 We pride ourselves on helping to educate our patients so they are able to make their best informed decision. 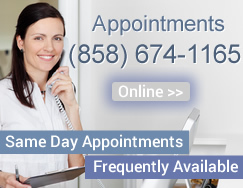 If you have questions about your hearing, please contact us at Rancho Ear, Nose and Throat. We are also proud to collaborate with our sister practice, Advanced Hearing Solutions, to provide our expert hearing testing services and hearing aid fittings for patients who may benefit from them. Advanced Hearing Solutions takes pride in making sure our patients’ hearing aids are precisely adjusted and receive the appropriate ongoing care they need to ensure your optimal hearing outcome.